UNIGRATE™ THE FIXED OPERATIONS REVOLUTION. The exclusive Unigrate Mesh™ forever changes the way dealers communicate, schedule and satisfy their customer base. 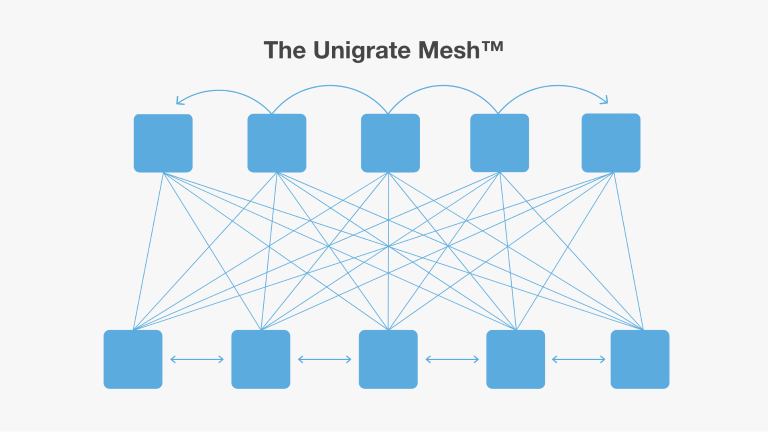 The Unigrate Mesh™ is the underlying fabric that connects Unigrate™ communications with Unigrate Scheduling™ and Addon™ modules. This incredibly efficient and scalable fabric enables groundbreaking new technologies which form the basis for the Unigrate™ family of products. The Unigrate Mesh™ does what no other platform can taking scheduling, communication and satisfaction to heights never before possible in fixed operations. As a top 100 group we deploy Unigrate™ group wide. It gives us a consistent approach and the results have been strong. The Unigrate™ platform collected over 14,000 new emails at our Toyota store and our CSI has never been higher. The Unigrate™ platform is incredible. Our customers rave about it in our surveys. It has collected over 10,000 customer emails for us and our customer set appointments have increased over 600% since we started. This platform does it all and it does it well. Everything is connected and the customers love the communications, interfaces and ease of use. It increases business while consolidating the process for us. Our text messages get 50% click though rates directly into our scheduler. The results have been amazing.